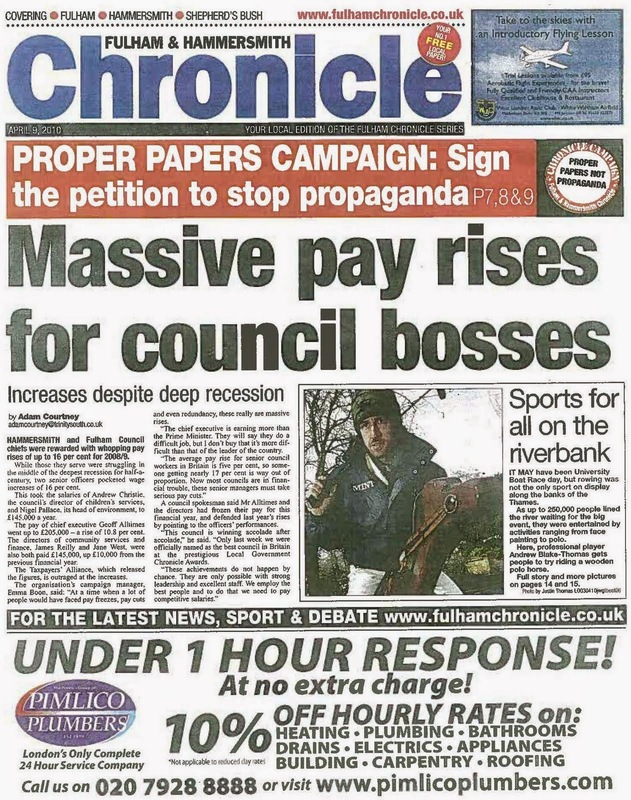 The news on Friday that the Fulham and Hammersmith Chronicle is to close in just two weeks time is bad news. All democracies need a strong independent press to hold them to account. Look around the world at what happens when there isn't one. Local government particularly requires the cleansing spotlight of an independent local media. 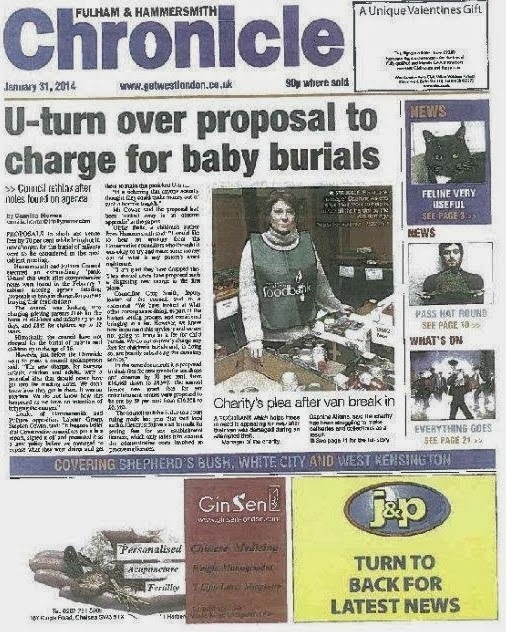 In recent weeks The Chronicle worked with us to force a U-turn on Conservative councillors' planned baby burial tax. Over the years it has played a similar role in holding to account the administrations of both the Borough's political parties ever to have won or likely to win control of Hammersmith and Fulham Council. It was a coincidence that yesterday's Sunday Politics programme featured Hammersmith and Fulham Council's approach to producing council tax-payer funded political propaganda. The programme took the example of how H&F's Conservative councillors mislead residents with several council magazines and leaflets (one leaflet costing £20,000) that said they had "saved" and "secured" Charing Cross Hospital when they had actually voted for a plan that keeps just 13% of it for the NHS and that's only as a GP-led clinic. The majority of the ground site will then be sold off as flats for overseas property speculators. You can watch the BBC's Sunday Politics here - the H&F bit starts at 48:17. 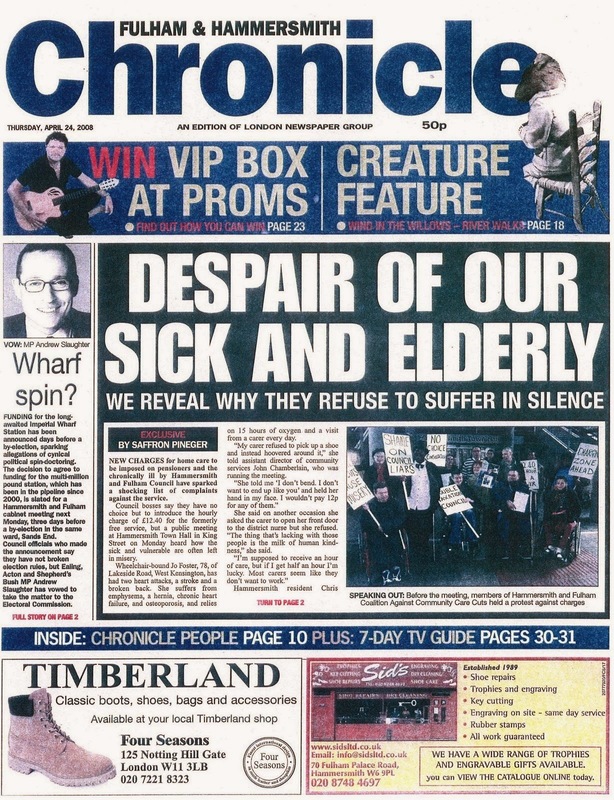 The full truth of what's actually happening to Charing Cross Hospital has been regularly featured in The Chronicle. It's arguable that without the Chronicle the first many residents would have found out that their hospital was being demolished would have been when the bull dozers arrived. 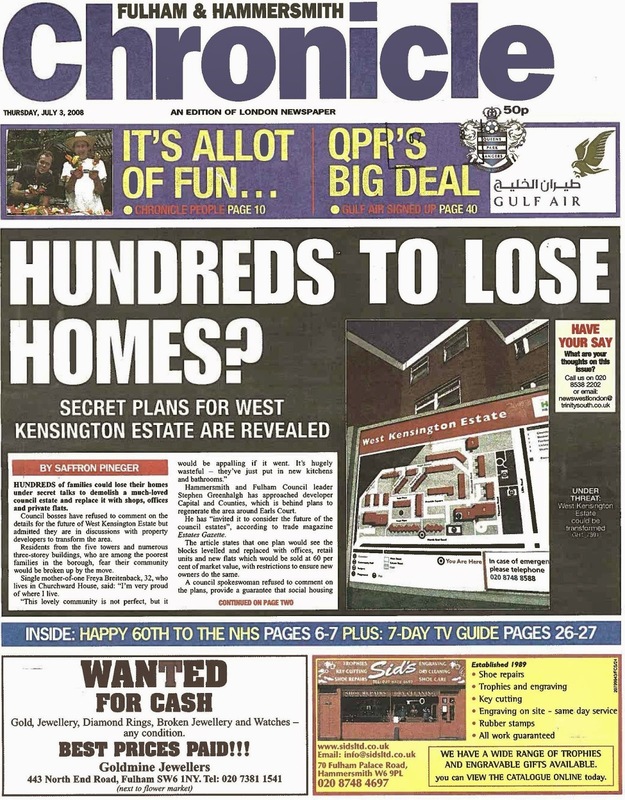 Many will remember how in 2008 Hammersmith and Fulham Council threatened The Chronicle and demanded a retraction because it reported that Conservative councillors had began secret talks with developers to sell off and demolish homes on the West Kensington and Gibbs Green estates. 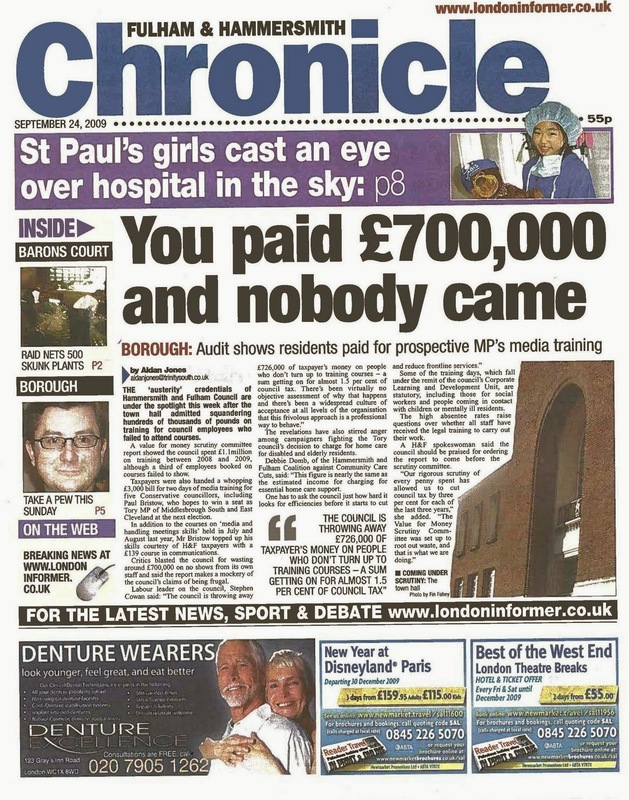 The Chronicle stuck to its guns and within six months Conservative councillors admitted that The Chronicle story was true and began the process of doing precisely what the paper had reported. Contrast that type of hard reporting and tough editorial backing to let residents know what their local government has planned for them with the awful propaganda produced by H&F Council and it's easy to see what all of us will lose if this paper really does close. There have been many excellent journalists on The Chronicle over the years, Poppy Bradbury and Camilla Horrox are amongst the best. I think Trinity Mirror should look again at this publishing decision and consider how they might better sell enough advertising, sponsorship and promotions in what is a vibrant part of West London to ensure they are able to keep shining that spotlight into all what goes on in this Borough no matter who is in administration. If my fellow Labour candidates and I are elected to form the Borough's new administration next month we will cut all propaganda and end all tax-payer funded political adverting. There needs to be a wider debate about how local newspapers should survive. A free press is important for a free society and for people to freely make up their own minds what they think - based on independent information. That is as important locally as it is nationally. The prospect of local government continuing to hang vanity banners pushing false statistics and featuring large pictures of local councillors from almost every lamp post while producing leaflets that are plainly untrue and churning out misleading guff innocently consumed by residents is not only a terrible waste of money, it is also a terrible prospect for the future. 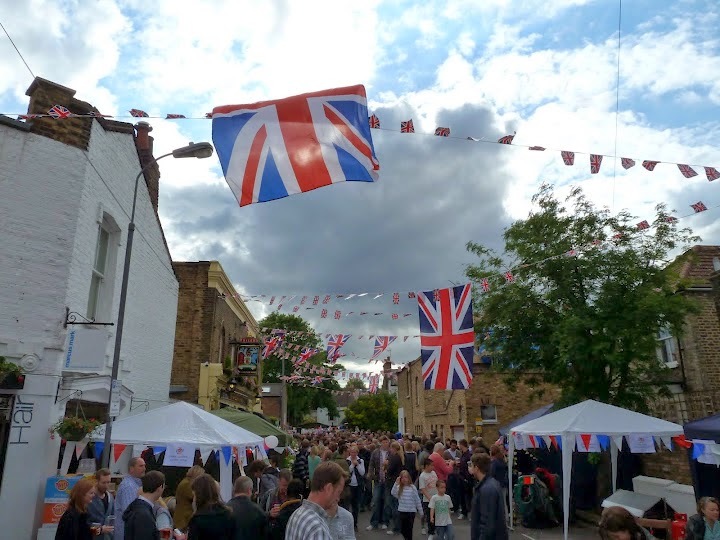 Brackenbury Residents Association launched in 1999. It has been a very active association ever since. I remember the inaugural AGM and while it is fiercely and rightly none political I have enjoyed working with different members of the committee, as one of the areas elected representatives, on a variety of projects over what is now nearly fifteen years. I particularly like ﻿﻿﻿the website's history section. If you're not a member and live in the area and want to find out about how to join, you can do all of that here. The Local Government Ombudsman has again found Hammersmith and Fulham's Conservative Administration guilty of maladministration. This time it is because Conservative councillors have been charging elderly residents living in sheltered housing twice as much for their water supply as H&F Council were buying it for from Thames Water. This overcharging has been going on since 2007. Despite the pensioners spotting and then raising it four years ago, H&F Council kept double charging them while it took them through the charade of all three stages of its own internal complaints procedure. In the end the residents were forced to seek an external ruling from Dr. Jane Martin, the Ombudsman. Dr. Martin made H&F's Conservative Administration halt what it was doing and pay the pensioners all their £38,000 back that they had wrongly taken from them - plus interest and plus costs. You can read the Ombudsman's report here. Regular readers will recall the last time H&F's Conservatives "maladministration" was recognised by the Ombudsman. They refused to offer the statutory homelessness help to a young pregnant woman who had been badly beaten up by her so-called partner in a horrible domestic violence incident. She was later found terrified sleeping in a local park a few weeks before she was due to give birth. Despite the Ombudsman's ruling H&F Conservatives took revenge on the homeless charity that found and supported the woman and drove them out of business in this Borough as you can read here. H&F Conservatives have become adept at lifting money from unsuspecting residents with their staggering £64.5 million worth of stealth taxes which you can also read about here. 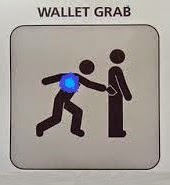 I really hope this incident was an indication of their incompetence rather than another example of their many deliberate scams to stealthily grab cash from residents' wallets.